Syllabus of the Online Course (Subject): Foreign Trade and Business in Kenya, Nairobi, and Mombasa. Description of the Online Course: Doing Business in Kenya. 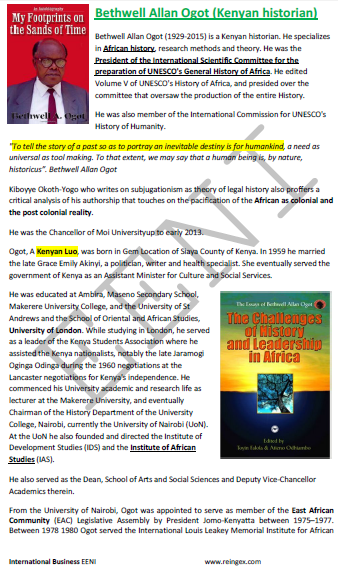 More information about Kenya (African Portal - EENI Business School & HA University). 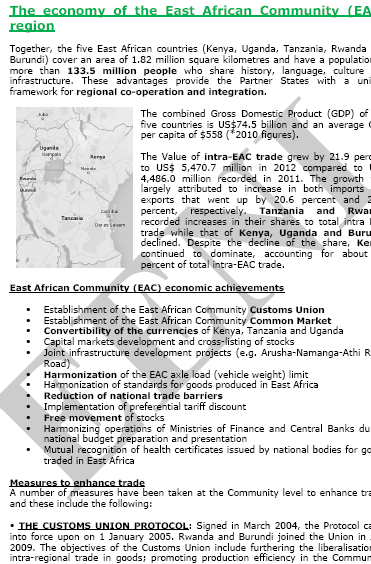 Kenya belongs to East African Economic Area (African Civilisation). 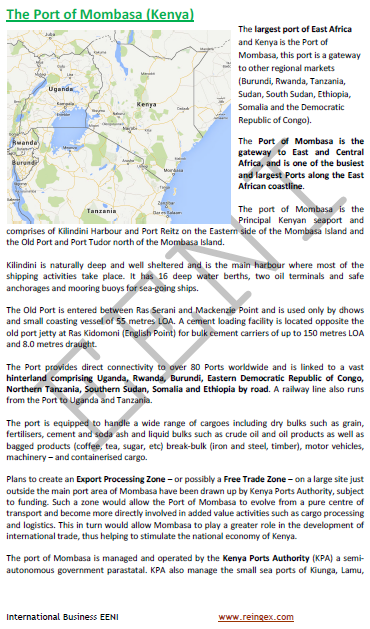 Kenya: an African frontier market, one of the African economic engines, and largest East African Economy. 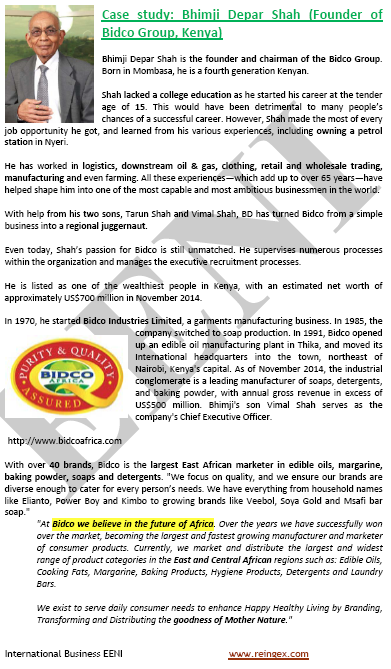 The vision 2030 of the Kenyan Government provides the entire Policy Framework that should lead Kenya to attain the status of a newly industrialised nation by the year 2030. 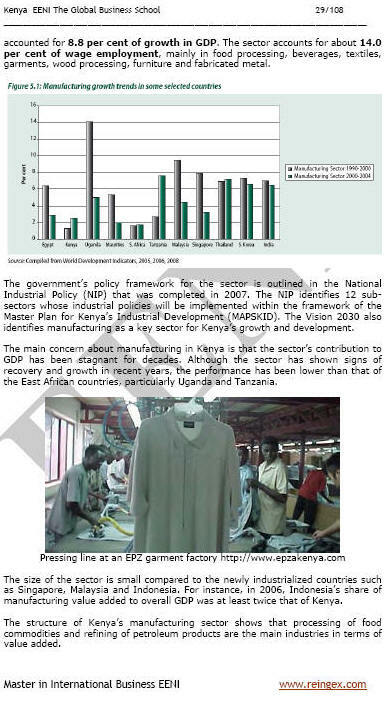 Kenyan manufacturing industry hit 4.1%, construction industry, 3.5%, wholesale and retail trade, repairs, 9.5%, tourism and hotels, 15.1% and transport and communication at 9.7%. General Motors East Africa is placed in Nairobi (Kenya) and serves the East African region covering Burundi, Ethiopia, Malawi, Mozambique, Rwanda, Somalia, Tanzania, Uganda, Zambia, and Zimbabwe. 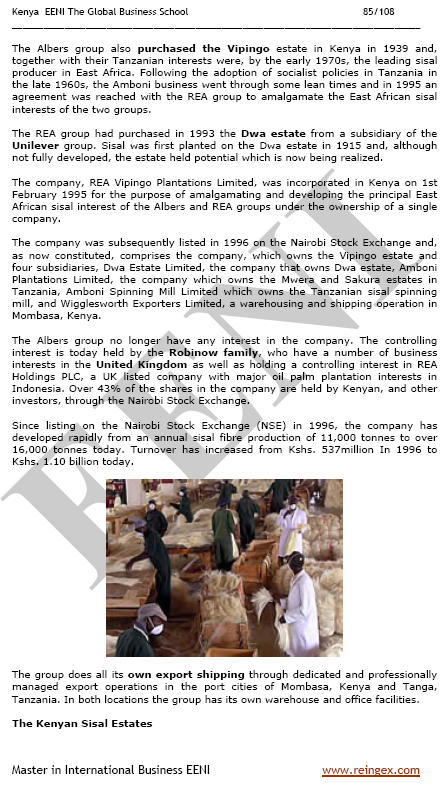 Kenya is a member of the United Nations and the World Trade Organisation and has multiple regional trade agreements. As a result, Kenya has undertaken substantial trade liberalisation initiatives within the World Trade Organisation framework, including the Most-favoured-nation tariff reduction, quantitative restrictions removal, business environment optimisation and international trade facilitation at the regional level. 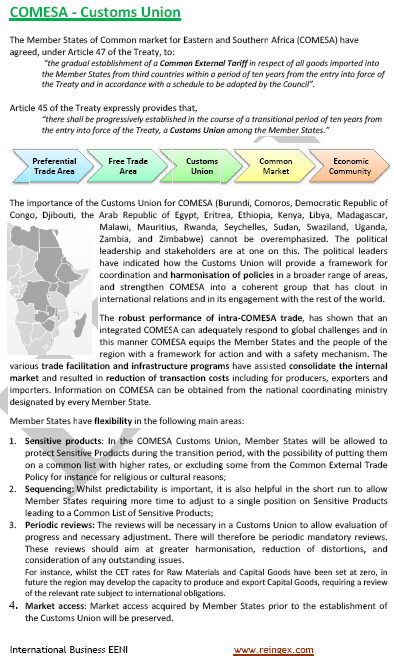 Kenya is signatory to the Cotonou Partnership Agreement in 2000, which provided for non-reciprocal trade between the European Union and the Africa Caribbean and the Pacific countries. 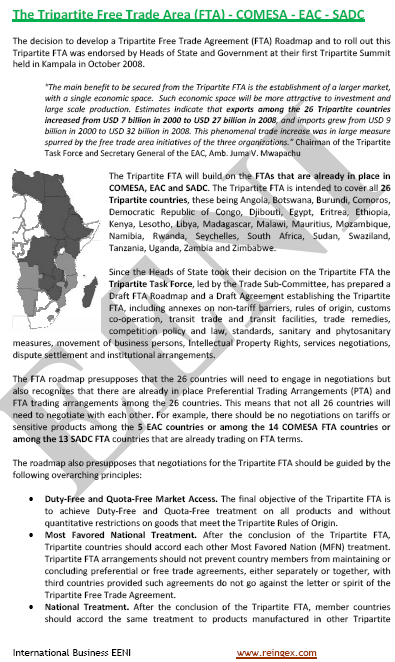 The Cotonou Agreement has been succeeded by a World Trade Organisation cooperative reciprocal trade arrangement, the Economic partnership agreements beginning January 2008. 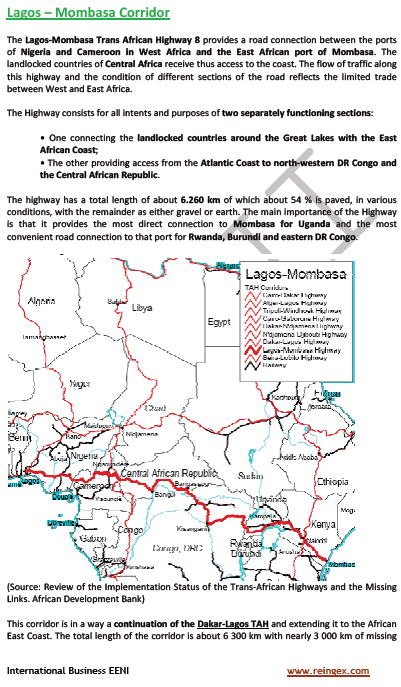 Furthermore, Kenya is a member of the Common Market for Eastern and Southern Africa and the East Africa Community and the Intergovernmental Authority on Development. Kenya is a beneficiary of preferential schemes of the international trade, including the Generalised System of Preferences with some industrialised countries, international trade and Investment Framework Agreement and the African Growth and Opportunity Act (AGOA) with the United States.